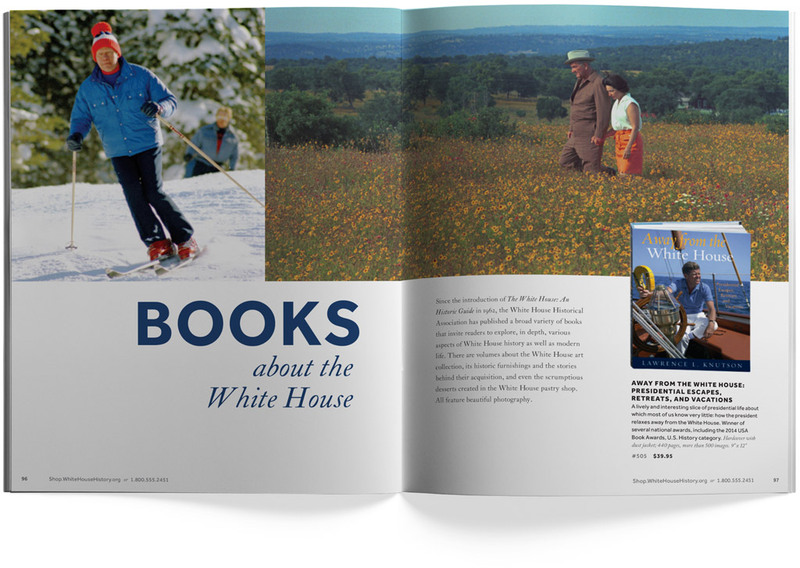 The White House Historical Association (WHHA)’s important mission to preserve and educate about the White House dates back to its inception under Jacqueline Kennedy’s leadership. 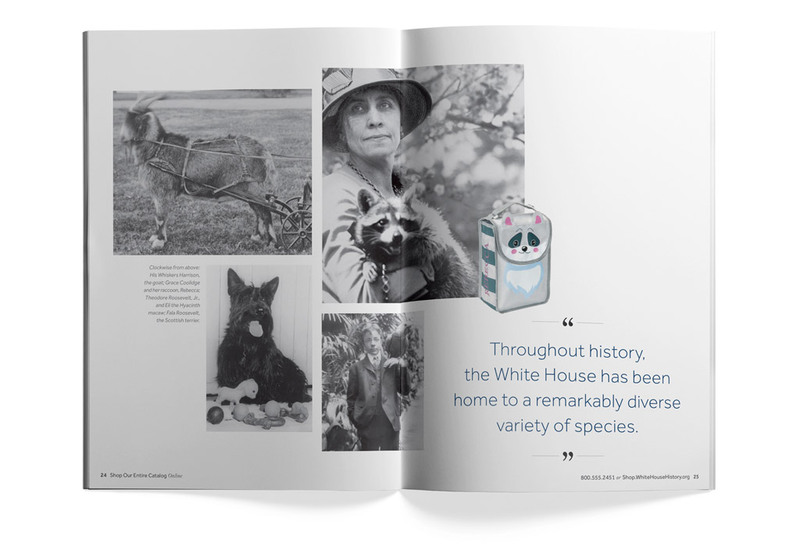 Their communications team collaborated with us to recon­ceptualize their holiday catalog, the association’s biggest marketing effort of the year, to better highlight both products and history. 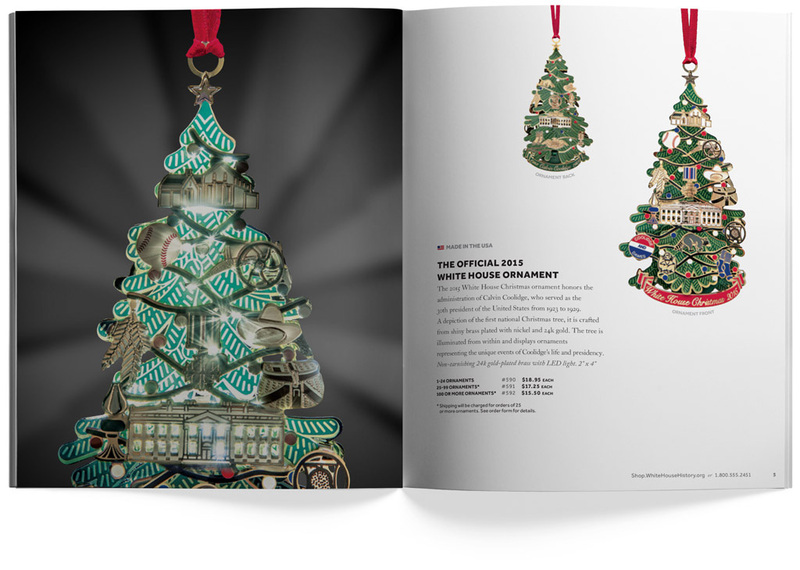 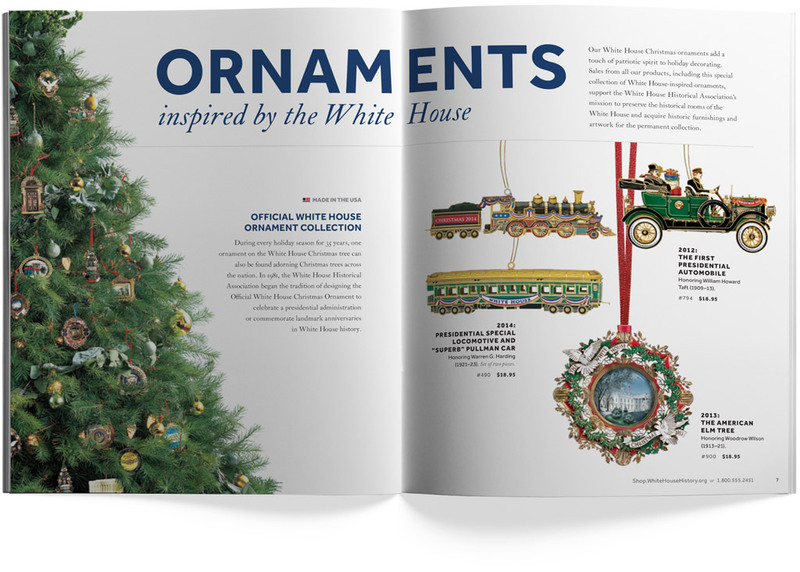 We knew the catalog needed to promote their most popular item and biggest seller, the Official White House Christmas Ornament, but we also wanted to elevate new products and expand the educational component. 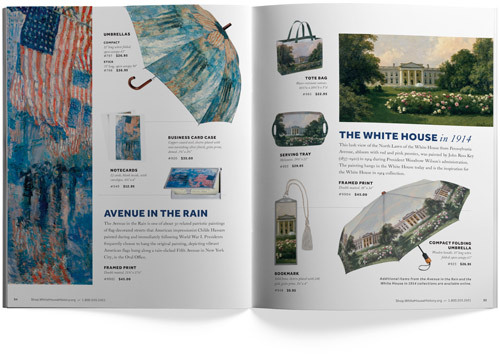 We proposed to create both a traditional catalog and a small look book. 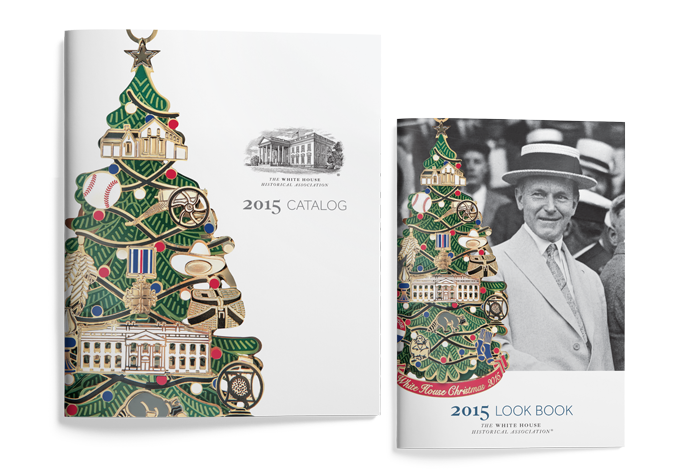 We designed and printed the new look book, as well as their traditional catalog. 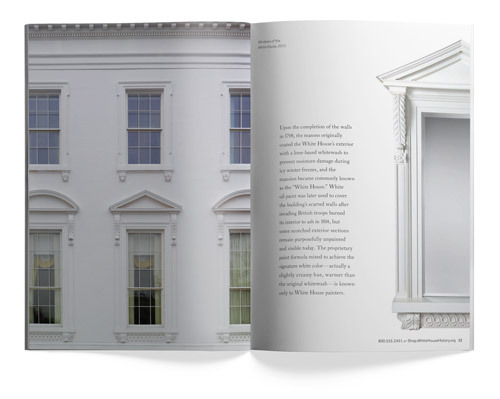 The dual publications allowed WHHA to make twice the impression with over a million recipients. 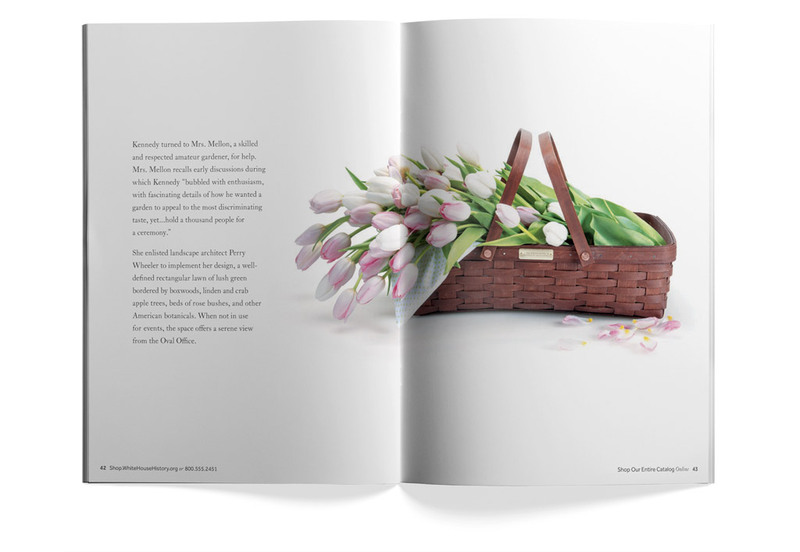 Featuring elegant photography and dynamic compositions, the look book focuses readers’ attention on select products and the history that inspired them. 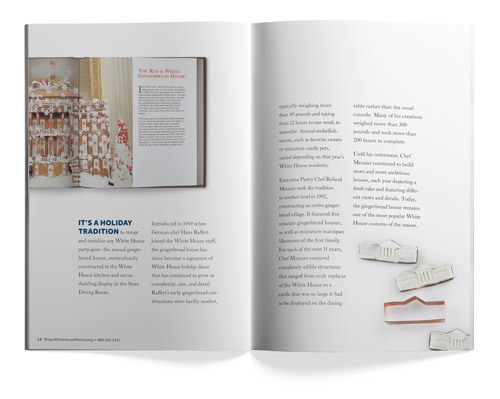 Its smaller size invites readers to sit and peruse the products and their stories. 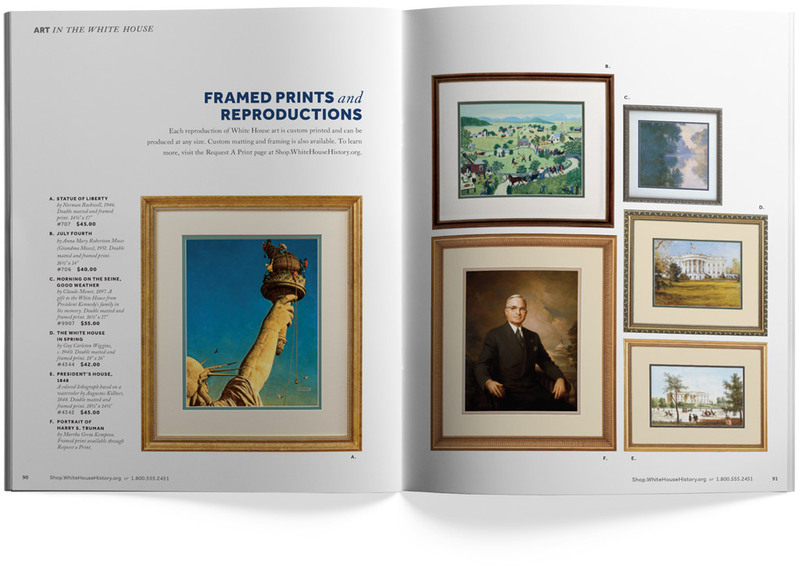 We art directed product photography of both new and old products to achieve a consistent caliber of imagery. 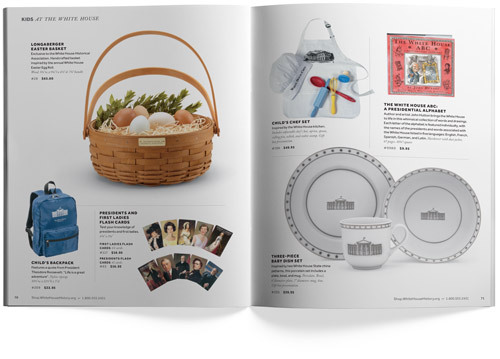 We worked to improve both the hierarchy and organization of products displayed in the catalog’s 104 pages to create a catalog that serves as both an effective shopping tool and an inviting educational resource.